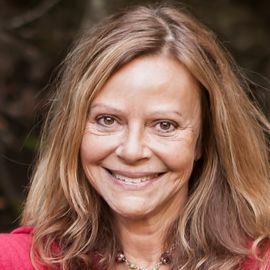 Joyce Maynard is a New York Times bestselling author who first gained national attention with the publication of her New York Times cover story, "An Eighteen Year Old Looks Back on Life", in 1973, when she was a freshman at Yale. Since then, she has been a reporter and columnist for the New York Times, a contributor to the CBS program "Spectrum", a syndicated newspaper columnist whose "Domestic Affairs" column appeared in over 50 papers nationwide, a regular contributor to NPR and national magazines including O, The Oprah Magazine, Newsweek, the New York Times Magazine, Forbes, Salon, San Francisco Magazine, USA Weekly, and many more. Maynard has appeared on ABC's Good Morning America, NBC's Today Show, CNN, Chris Matthews' Hard Ball, Charlie Rose, and NPR's Fresh Air. She has also been a regular contributor to National Public Radio's All Things Considered. Maynard is a sought after speaker at universities, schools, MFA writing programs, literary festivals, lecture series, and Jewish Community Centers. She is also a performance storyteller and has appeared with The Moth in New York City and in New Haven, and with Porchlight -a similar performance/storytelling series - in San Francisco. She has taught both nonfiction and fiction writing, and because her novel The Usual Rules was discovered by young readers - and some teachers - she frequently speaks at schools about reading and writing. As a writer of fiction, Maynard has published nine novels, including Baby Love, Where Love Goes, The Usual Rules, The Cloud Chamber, and To Die For, a dark comedy based loosely on the Pamela Smart murder case. To Die For was made into a movie of the same name, directed by Gus van Sant and starring Nicole Kidman (Maynard plays the role of Kidman's lawyer in the film). Her novel, The Usual Rules - a story about surviving loss - has been a favorite of book club audiences of all ages, and was chosen one of the 10 best books for young readers for 2003. Her YA novel, The Cloud Chamber, was chosen Best Young Adult Book of the Year by the Commonwealth Club of California. Her best-selling memoir, At Home in the World, which revealed how her relationship with J.D. Salinger shaped her young life and, in many ways, even her later years, was published in 1998. When asked to name the single common thread that links her long and varied list of work, Maynard says, "The single bond is my abiding fascination with family and relationships, and what makes people do what they do." Since the death of her mother, Maynard has maintained the practice of teaching pie making (specifically, the art of making good pie crust). She has taught the art and craft of pie making all around the country (sometimes at gatherings hosted by longtime readers, and always to raise money for a good cause). Pie making even plays a role in her novel Labor Day. Maynard is the mother of three grown children. She makes her home in Mill Valley, California, and at Lake Atitlan, Guatemala, where (since 2002) she has been running the Lake Atitlan Writing Workshop. About midway through Joyce Maynard’s novel Under the Influence, a character does what we all have done and performs an ill-advised, late-night Google background check on a new acquaintance.